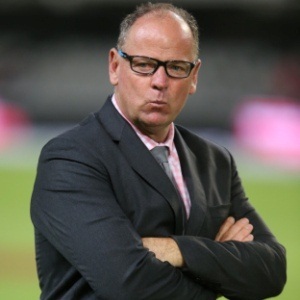 Cape Town - Former Springbok coach Jake White says rugby fans need to understand the intricacies behind top-level coaching. White shared his views via a column for All Out Rugby where he commented on the unceremonious sacking of France coach Guy Noves. On Monday, the French rugby federation was ordered by an industrial tribunal to pay €1 million in compensation to Noves, who was sacked in December 2017 after a mere seven wins from 22 matches alongside 14 defeats and a humiliating home draw with 2019 Rugby World Cup hosts Japan. White wrote that Noves’ sacking got him "thinking about whether rugby supporters are aware that the job is a lot tougher than just running field sessions and drinking champagne out of a big cup". White continued: "As a professional coach, you’ve got to manage a staff that you often haven’t picked yourself, and sometimes that staff doesn’t think the same as you. In sport you need the people involved to have a bit of an ego, to rate themselves, to walk the line between confidence and arrogance, and that can create conflict when you’re not aligned. "You may have a staff member on a long-term contract who is actually upset that he wasn’t given the head coaching role. So you’ve got to manage that guy because he’s not in a positive frame of mind and may not always be trying to help you win. "Then you've got another guy who doesn’t really believe in what you’re trying to do, but you can’t get rid of him because the team can’t afford to pay him out. That’s why coaches fight so hard to have their own staff around." White, who led the Boks to World Cup glory in France in 2007, added: "It is a dream to have done something that is recognised and appreciated, but it does come at great cost, and people don't see how lonely coaching can be."